Hey there my readers, we have arrived at that time of the year again and I am speaking of nothing less than the ever expanding and ever fantastic NY Comic Con. For four days this massive event was going to take over the Jacob Javits Center on the West Side of the Big Apple and this year would expand its reach for what they were calling “The Super Week”. This extended presentation would feature special appearances and events outside the normal confines of time at the four days at the Javits but my heavy duty concert calendar for this week was going to keep me from doing all but one of their broadcast events. I’ll speak about that later. 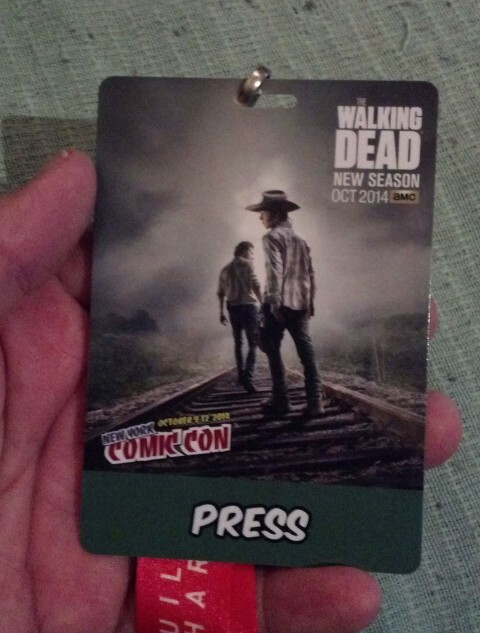 The Official Press badge along with the other passes for the Con are decorated with images from “The Walking Dead” and this has been the case for a couple of years now. Time to work that media magic so here we go. You might remember that last year was the 75th Anniversary of Superman, and this year we would be doing the same sort of hoopla for the Dark Knight himself, the one and only Batman. 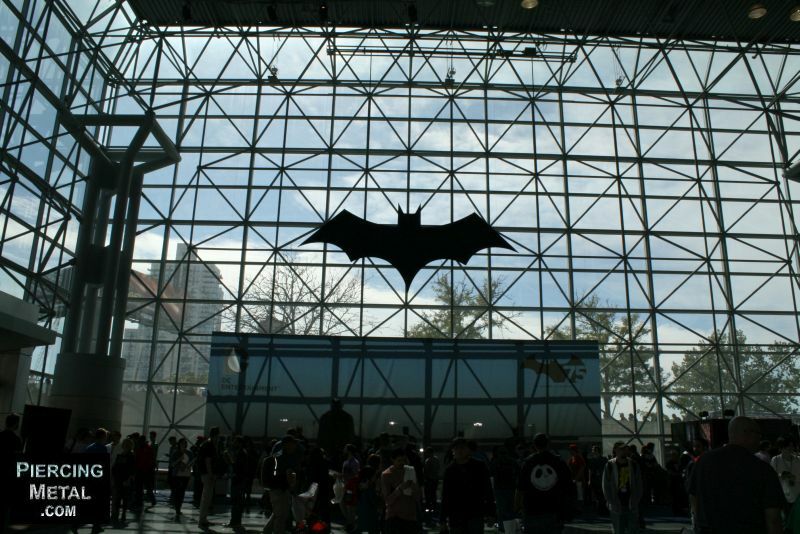 One of the side sections of the Javits had a massive bat emblem on its wall that could be seen from far away and in this Hall of Justice (for lack of a better term) were representations of many of the Batman costumes that had been portrayed in film over the years. I made sure to snap a shot of each one of them for your viewing pleasure.